This Instax Square SQ10 review looks at the latest instant camera in the Fujifilm range of the hugely popular Instax range. The SQ10 had big expectations to live up to following in the footsteps of the best-selling Instax Mini 8 and we are excited to tell you that Fuji have brought things to another level with the SQ10. By offering a “hybrid instant camera” which combines the hipster coolness of an instant camera with Instagram-esque filters and colour edits which you can apply before printing your Instax photos! How so? Well, the Instax Square SQ10 stores up to 50 images on its internal memory (or to a micro SDHC/ micro SD card if you prefer). You can enjoy over 3,000 photography styles – from just three buttons and one dial! The new enhanced digital imaging technology allows you to shoot as close as 4 inches (10cm) from your subject and auto-focus and adjust the exposure in dark areas, providing vivid photos in a wide range of scenes in your everyday life. Dual Shutter Button – On most Instax cameras the shutter button is on the right side of the camera. For the SQ10 Fuji have opted for a dual shutter system with 2 shutter buttons which is perfect for lefties and also, in our experience using the camera, really neat if you want to flip the camera around and shoot in selfie mode! High-quality feel – The design of the SQ10 retains the iconic look and feel of the Instax camera range while also being stylish and ergonomic. We liked the shaved metal lens ring and Fujifilm’s choice to go back to basics and stick with offering the camera in black. New user interface design – Fuji have equipped the SQ10 with an LCD monitor which keeps displayed information to a minimum under which they have placed the buttons and dials in a neat and functional circular arrangement. We found this to be intuitive and easy to use while shooting, editing, processing and printing photos. 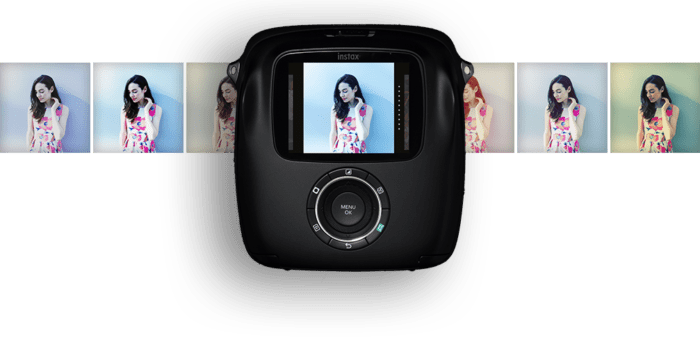 INSTAX SQUARE SQ10 REVIEW – SHOULD I BUY? 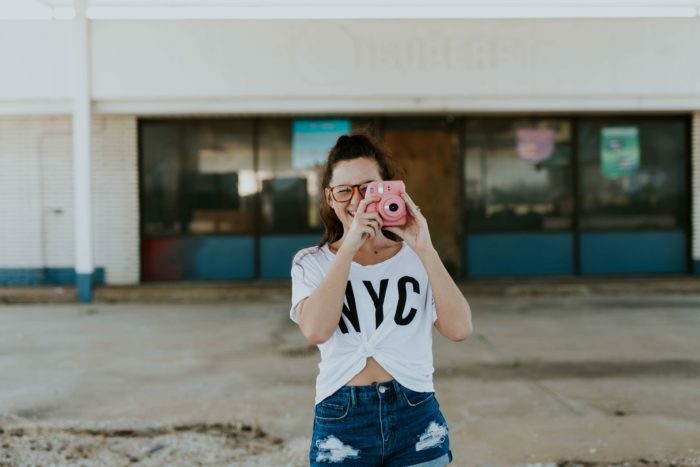 The Instax Square SQ10 is a revolutionary camera in the instant camera market, and perfect for someone who loves the combination of its hipster appeal and Instagram like features. It’s a quality product which will continue the Fujifilm tradition of producing legendary “Instax” cameras and only time will tell if it can surpass the best-selling Instax Mini 8. 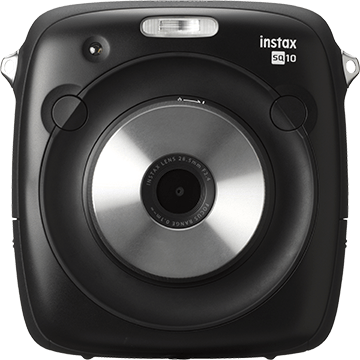 We hope you found this Instax Square SQ10 review helpful and would love to hear your thoughts so please comment below.